On December 22 2011, my little sister and I went out and photographed the Holy Family Shrine near Gretna Nebraska. The Holy Family shrine is located about 20 minutes West of Omaha on Interstate 80 and is clearly visible from the interstate. Look for exit signs on the interstate that will lead you right to it. 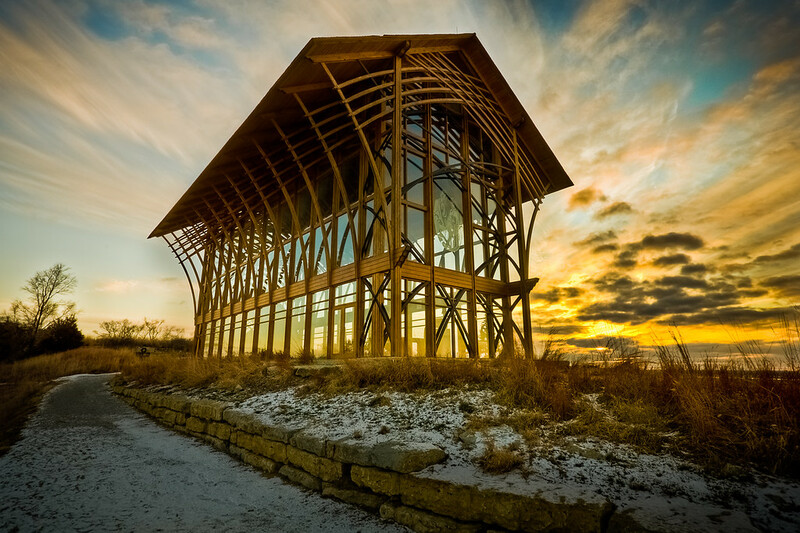 The chapel is a stunning combination of glass and wood designed by famous architect E. Fay Jones, an apprentice of Frank Lloyd Wright. To find out more about the The Holy Family Shrine you can visit their website here. This is a seven exposure HDR. There were serious halo problems around the top of the shrine that took a lot of time to fix and I'm still not totally satisfied with it.